London: Macmillan and Co., Limited, 1922. Octavo, bound in full brown calf by Sangorski & Sutcliffe, raised bands, gilt titles and tooling to the spine, double gilt ruled, dentelles, marbled endpapers, all edged gilt. Selected and arranged by Stopford A. Brooke. In near fine condition. A lovely example. The Poetical Works of Percy Bysshe Shelley. Revised by William Michael Rossetti. London: E. Moxon, Son, & Co, 1870. 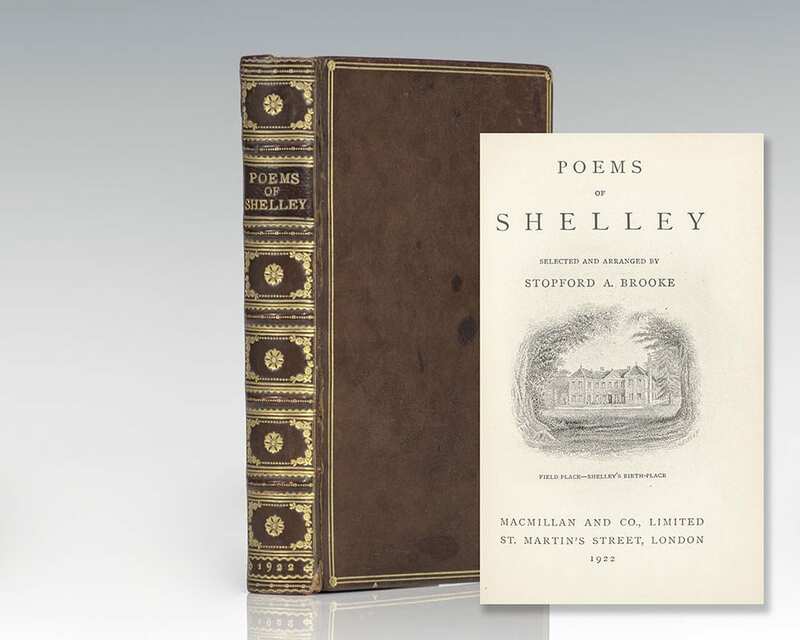 Finely bound example of the Poetical Works of Shelley. Octavo, 2 volumes. Bound in full contemporary calf by Zaehnsdorf, gilt titles and tooling to the spine, morocco spine labels, gilt ruled, raised bands, inner dentelles, top edge gilt, marbled endpapers. 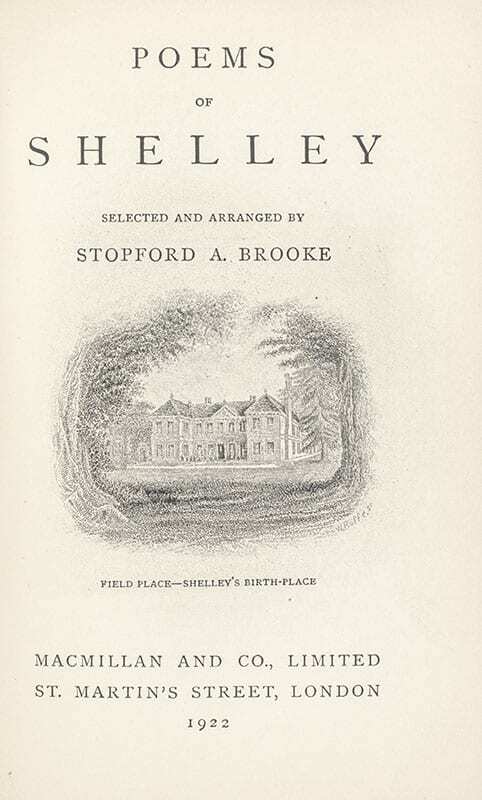 Frontispiece of Shelley to volume one. Folding facsimile manuscript of Shelley’s writing to volume two. Carefully revised with notes and a memoir by William Michael Rossetti. In near fine condition. The Poetical Works of Percy Bysshe Shelley. Edited by Mary Shelley. 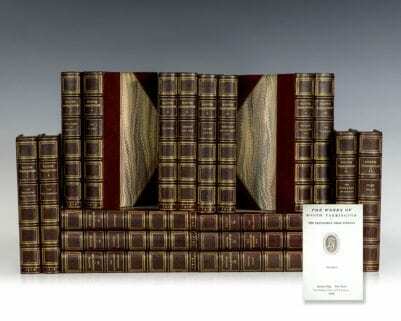 Finely bound set to the Poetical Works of Shelley. 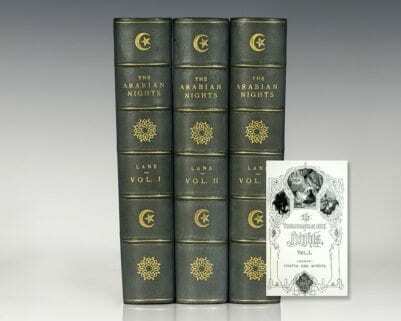 Octavo, 3 volumes. 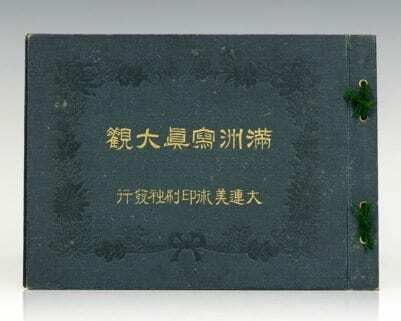 Bound in contemporary paneled calf, elaborate gilt titles and tooling to the spine, raised bands, inner dentelles, top edge gilt, marbled endpapers. Frontispiece of Shelley to volume one. In near fine condition. An exceptional set.